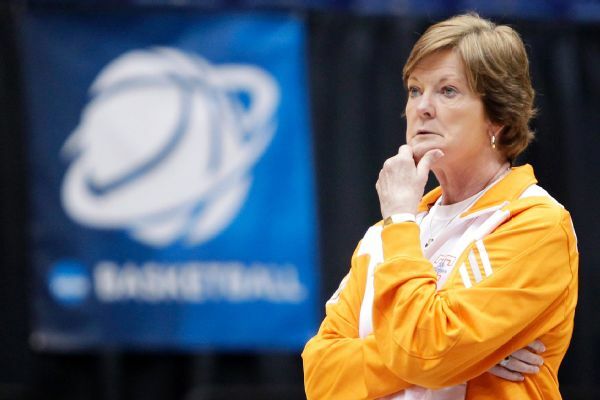 To honor Pat Summitt's legacy, The Pat Summitt Leadership Group is publishing "Quotes from the Summitt" on Friday, a book of the coach's most memorable sayings. 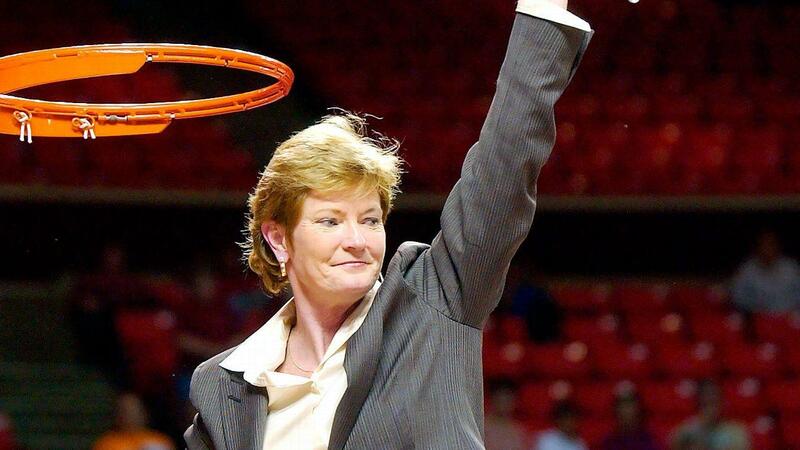 Hall of Fame coach Pat Summitt, a pioneer of women's college basketball who guided the Tennessee Volunteers to eight national titles in her 38 seasons at the university, died in June 2016. 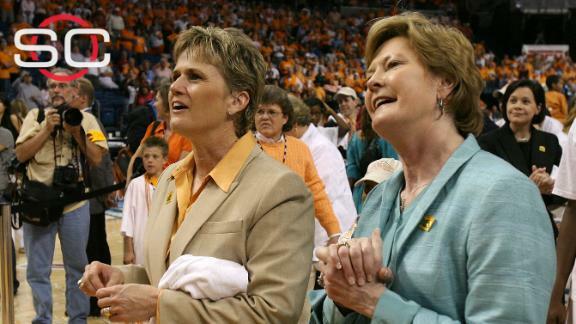 Summitt led the Lady Vols to 1,098 victories -- the most in Division I college basketball history (men or women) -- before stepping down in 2012, one year after announcing she had early-onset dementia, Alzheimer's type. 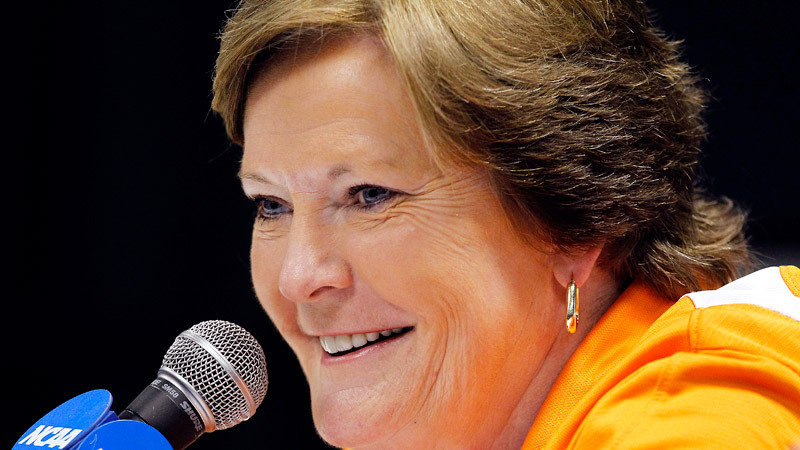 To honor her legacy, The Pat Summitt Leadership Group is publishing "Quotes from the Summitt," a book of the coach's most memorable sayings, on Friday. "I won 1,098 games and 8 national championships and coached in four different decades. But what I see are not the numbers. I see the faces." "I've learned that everyone wants to live on the top of the mountain, but all the happiness and growth occurs while you're climbing it." "Without an incentive, people simply won't work together consistently. But, if you can grasp the real incentive behind teamwork, instilling it suddenly becomes a whole lot easier." "Responsibility never ends. It's not a step or a chapter. You don't finish it and then move on to something more fun or interesting. Responsibility is the constant state of being." "If you really want to get something across, body language, facial expressions, eye contact and listening are all necessary parts of communicating." "Attitude is, in fact, a simple daily choice. It makes a significant difference in individual and group success." "Sometimes you learn more from losing than winning. Losing forces you to re-evaluate." "You have to discipline yourself to do something the right way until it's second nature." "If we didn't have the problem, we wouldn't need the rule. There's a word for that. It's called accountability, and it is the backbone of discipline. You don't have one without the other." "Teamwork allows common people to obtain uncommon results." Excerpted from "Quotes from the Summitt" by Pat Summitt, published with permission from the Pat Summitt Leadership Group.